I initially thought I could write this post months back already. But I ended up being overwhelmed by different things. One among them was, that it wasn't able to simply fire up the RichFaces showcase like I did it for the 4.0 release. With all the JMS magic and the different provider checks in the showcase this has become some kind of a challenge to simply build and deploy it. Anyway, I was willing to give this a try and here we go. If you want to get started with any of the JBoss technologies it is a good idea to check with the JBoss Developer Framework first. That is a nice collection of different examples and quickstarts to get you started on Java EE and it's technologies. 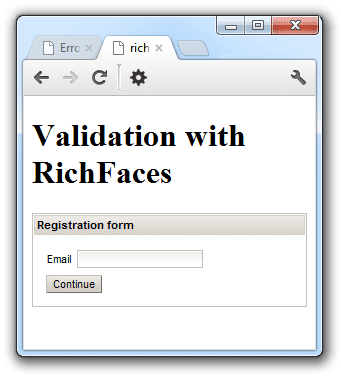 One of them is the RichFaces-Validation example which demonstrates how to use JSF 2.0, RichFaces 4.2, CDI 1.0, JPA 2.0 and Bean Validation 1.0 together. The example consists of a Member entity which has some JSR-303 (Bean Validation) constraints on it. Usually those are checked in several places, beginning with the Database, on to the persistence layer and finally the view layer in close interaction with the client. Even if this quickguide doesn't contain a persistence layer it starts with the Enity which reflects the real life situation quite good. The application contains a view layer written using JSF and RichFaces and includes an AJAX wizard for new member registration. A newly registered member needs to provide a couple of information before he is actually "registered". This includes e-mail a name and his phone number. This adds the Bill of Materials (BOM) for both Java EE 6 and RichFaces to your project. A BOM specifies the versions of a "stack" (or a collection) of artifacts. 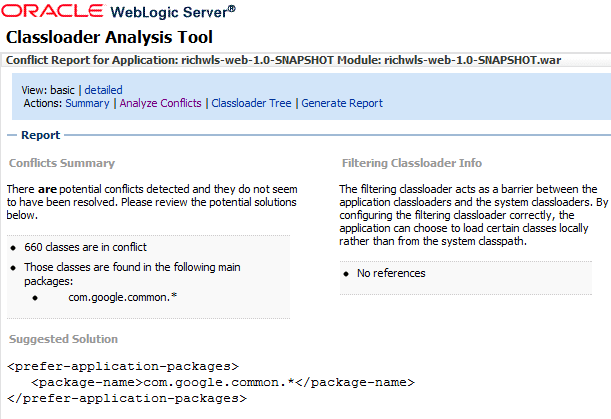 You find it with anything from the RedHat guys and it is considered "best practice" to have one. At the end this makes your life easier because it manages versions and dependencies for you. 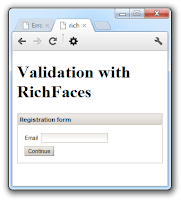 Copy the contents of the richfaces-validation directory of the source-zip or check it out from github. Be a little bit careful and don't mess up with the pom.xml we created ;) Build it and get that stuff deployed. We obviously have an issue here and need to declare the Logger field as transient. Don't know why this works on AS7 but might be I find out someday :) Next iteration: Change it, build, deploy. That doesn't look better. 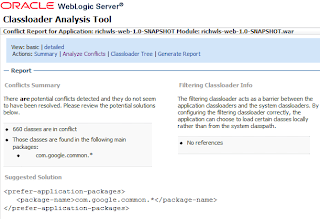 Fire up the WLS CAT at http://localhost:7001/wls-cat/ and try to find out about it.